It's a little grainy Stuart. gorgeous though mum and dad were just telling me about the Torrens river looks really clean and blue lovely!! The only signets I have ever seen were on the Torrens. This is a very nice shot Stuart. Sharon the river is only lovely and clean sometimes. In the summer it is sometimes completely covered with Blue Green Algae. Stuart, it is a lovely photo..... Love the colors. 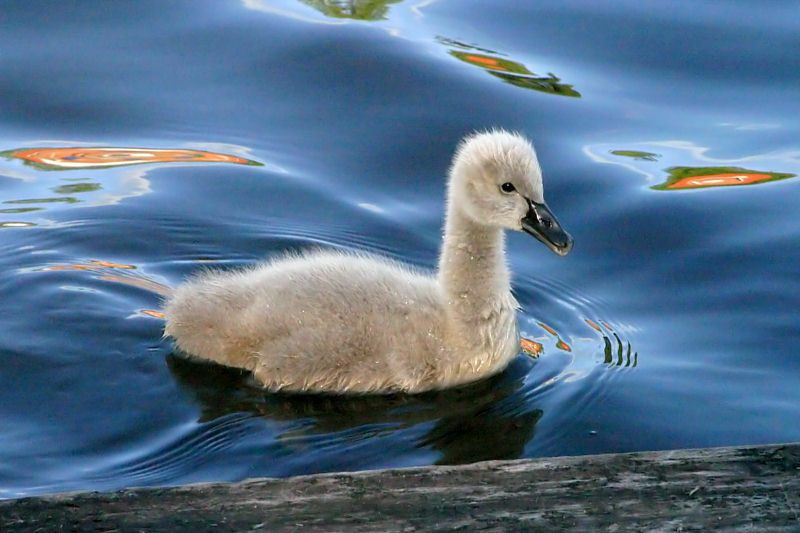 I have never seen a Cygnet before. Is the water really that blue there at the moment?? ?